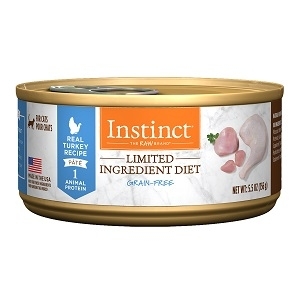 Whether king of the jungle or king of your heart, cats crave delicious taste and quality meat. 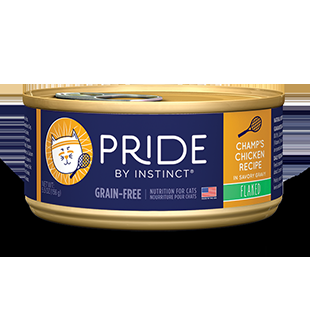 Pride by Instinct® is made with carefully selected natural ingredients so your cat can strut and saunter with the confidence of his ancestors. 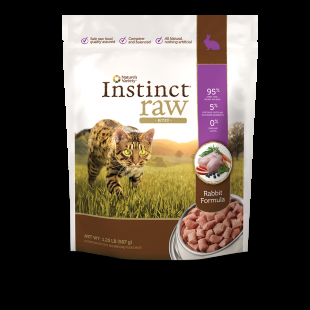 The full family of grain-free offerings includes a variety of proteins in flavors inspired by the vibrant personalities of cats we love. 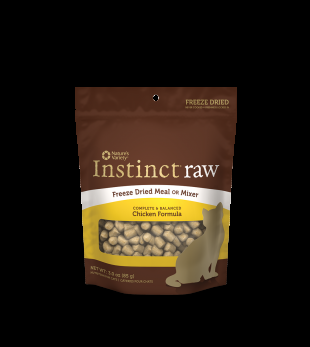 Each is crafted to satisfy lion-sized appetites and to help you feel good about feeding your cats well. 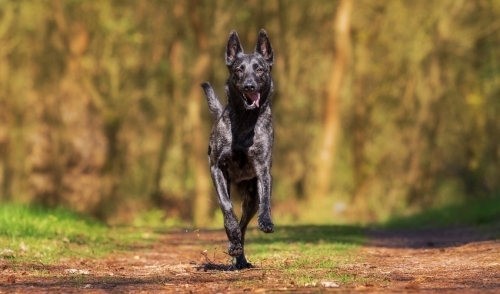 Instinct® Raw Freeze Dried Meal or Mixer is complete and balanced, wholesome raw food that can be served alone, or added to any kibble or canned food.